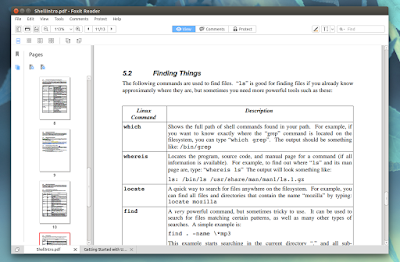 Foxit PDF Reader for Linux was updated recently, after years of no new releases. The new version brings support for opening PDFs in tabs, annotations and more. 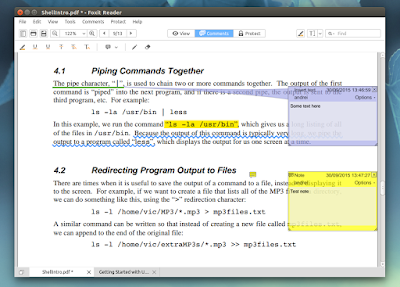 Foxit Reader is a popular free to use (but proprietary) PDF viewer available for Linux, Windows and Mac OS X. 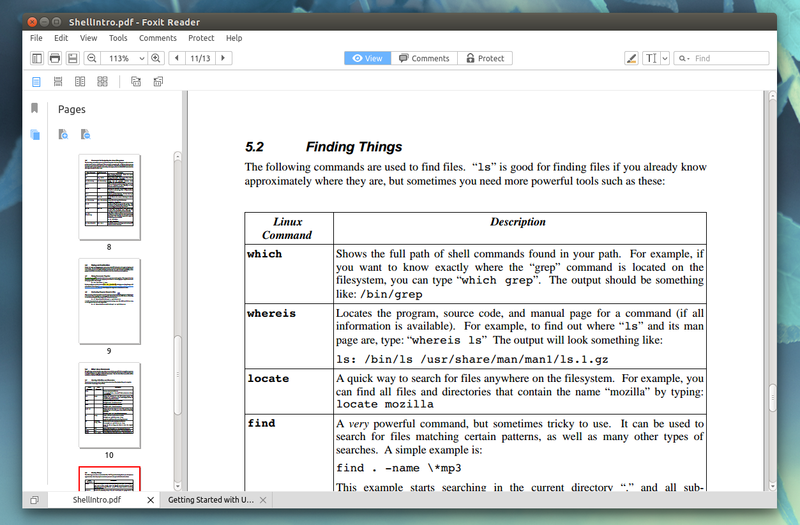 Compared to the Windows version, Foxit PDF Reader for Linux lacks some features - most importantly, the ability to create PDF files, but the app still has quite a few useful features. 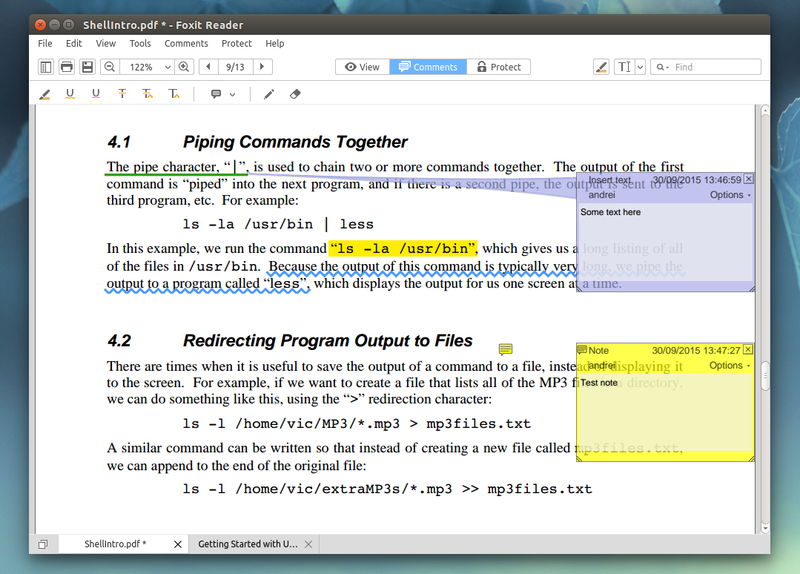 The latest Foxit Reader for Linux features a new user interface as well as new features such as annotations (called commenting tools in Foxit), multiple views, bookmarks, printing both the documents and annotations (you can print the document, the documment with annotations or just the annotations) and more. For the comments, you can choose from various icons such as an arrow, pointer, cross, star and more, useful for both adding notes for yourself or for collaboration. I should also mention that in my test, the application was able to open a large PDF file (which contains a large number of images) very quickly and it allowed me to scroll through it easily, without any lag, as opposed to Evince for instance, which took 1-2 seconds to load new pages, so as far as performance is concerned, Foxit Reader works great. If you're looking for an open source PDF reader that can open large PDF files quickly, check out MuPDF. Unfortunately there's no official changelog for the latest Foxit PDF Reader for Linux so I can't tell you what's new under the hood. (click the "Free Download" link on the left and select Linux from the Platform drop-down). To install it, simply extract the downloaded archive, double click the extracted .run file and follow the instructions. Thanks to bhaismachine for the tip!